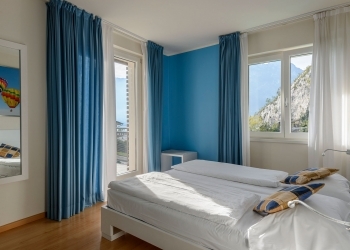 SeeLE Garda Hotel has 20 elegantly furnished rooms, divided into three types. A room overlooking Garda Lake, providing you with breathtaking picturesque views of the lake while you enjoy an aperitif… a unique experience that we have pleasure in offering you if you stay in this special room. Garda rooms all have unique furniture in stylish design with mirror finishes. They all have: wood floors, air-conditioning, minibar, bathroom with shower, hair-dryer, telephone, digital safe, Sat TV/radio, free Wi-Fi, and a terrace or balcony. This type of room includes free entry to the wellness area and use of a “WELLNESS BAG” containing a bathrobe, slippers and towel, as well as a special “Garda Sunset Drink“, 1 aperitif for 2 people in your room. The use of a “WELLNESS BAG” containing a bathrobe, slippers and towel. A spacious and comfortable room that is perfect for those who want to spend time relaxing and dedicating time to themselves. Free use of the wellness area is included so you can pamper your soul and strengthen your spirit. SeeLe rooms all have unique furniture in stylish design with mirror finishes. They all have: wood floors, air-conditioning, minibar, bathroom with shower, hair-dryer, telephone, digital safe, Sat TV/radio, free Wi-Fi, and a terrace or balcony. This type of room includes free entry to the wellness area and use of a “WELLNESS BAG” containing a bathrobe, slippers and towel. 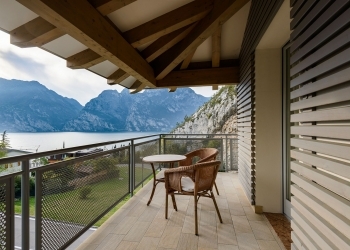 A room dedicated to the soul, where you can take refuge after an adventurous day spent at Lake Garda doing sport and surrounded by nature. Our Soul rooms, about 14 square metres in size, are provided with all comforts. They all have: wood floors, air-conditioning, bathroom with shower, hair-dryer, telephone, digital safe, Sat TV/radio, free Wi-Fi, and a terrace or balcony. 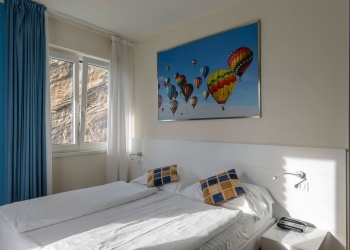 This type of room does not include entry to the wellness area, which can be purchased separately in combination with the “WELLNESS BAG” containing a bathrobe, slippers and towel.